When you are planning your next big event, you have to always keep in mind of your restroom space because if you are having food or drink, your guests are going to have to do their business eventually. However, you want your event to be top-notch, so making a checklist to follow before you rent your portable restroom is important. In order to make this process easier for you, we have provided some of these items that you need to look at before putting a porta potty on your property. If you are renting a portable restroom, you want to take a good look at how it looks on the outside. A reputable rental company will have taken excellent care of their toilets. Look for signs of wear like dents, holes, or scraped paint. If you are renting a larger portable restroom trailer, you want to look at the railing and steps that lead into the restroom. If the exterior looks bad, chances are the interior is going to be no better, if not worse. Opening the door, you want to take a good look at how the rental company has taken care of the inside of the portable restroom. You want to see how well they have cleaned the restroom and ensure that there are not any lingering odors or bugs living in the corners or crevices of the portable restroom. Examine the size of your event right before you order your portable restroom or other units. People may drop out or decide that they are bringing other guests at the last minute. These changes, though seemingly minute, could deeply impact how many units you actually need. The number of units needed impacts your budget, so knowing how many units you need to keep your guests comfortable is critical. Keeping your budget in check is important. Know how much your units are going to cost for your event and make sure that you have the right sizes for the right price. The more money you can save on your portable restrooms means the more money that you have for other aspects of your event. 6. Know Where Your Portable Restroom Will Go! The placement of your portable restrooms is vital. You want them to be a good distance away from your party but not too far out of reach that people can’t find them. Making sure your event is on a large enough area is important to your rental success. 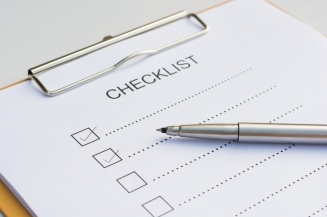 Any Questions Left on Your Checklist? Got to Go Solutions can Help! If you are hosting a large event like a wedding or family reunion and need to rent a porta potty or large restroom trailer, the Got to Go Solutions has the answers to all of your restroom needs. Follow our prescribed checklist and give us a call to find out more about scheduling our restrooms at your event.